Lancashire Thunder is delighted to announce the overseas signing of India’s Harmanpreet Kaur ahead of the 2018 Kia Super League (KSL) campaign. Kaur made history in 2016 when she became the first Indian cricketer – male or female – to sign a Big Bash League contract with Sydney Thunder, following an impressive showing during India’s tour of Australia, where she made a 31-ball 46 during their highest-ever T20 chase. The 29 year-old, who has made 170 appearances for India in all three formats of the game, shot to fame in 2017 when she hit a match winning 171 not out against Australia in the semi-final of the ICC Women’s World Cup in Derby. 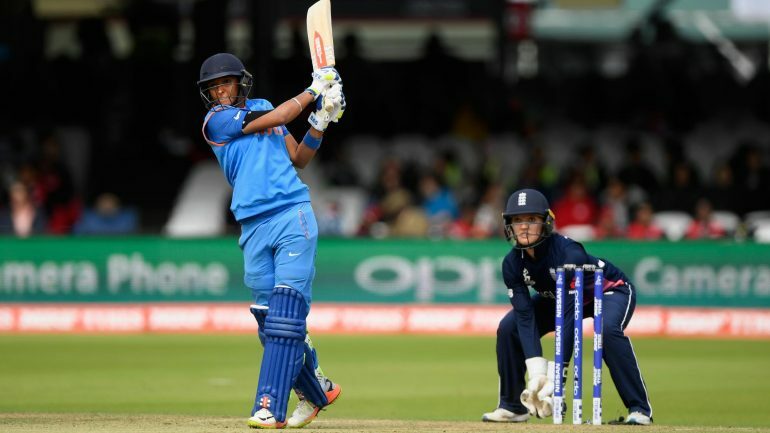 Harmanpreet Kaur said, “I am so pleased to sign for Lancashire Thunder ahead of the 2018 Kia Super League. I have followed the KSL for a while and I can’t wait to finally play in the competition, especially at a stadium like Emirates Old Trafford. “I have fond memories of playing in England following last summer’s ICC Women’s World Cup, during which I scored my highest ever international score. Lancashire Thunder Head Coach, Alex Blackwell, added, “I am thrilled to be able to welcome Harmanpreet to Emirates Old Trafford. This summer’s KSL has doubled in size from five to 10 matches, with everyone playing each other home and away between July 22 and August 19. The top three of the six teams advance to Finals Day at Hove on August 27. Lancashire Thunder’s first game is against Loughborough Lightning at Southport and Birkdale Cricket Club on Sunday 22 July. Tickets are on sale for all of Lancashire Thunder’s home fixtures, which sees the side play twice at Emirates Old Trafford as part of a Vitality Blast double header, as well as at Liverpool CC, Southport & Birkdale CC and Blackpool CC. Tickets are available from £5 for adults and £1 for juniors and can be bought from http://cricket.lancashirecricket.co.uk/tickets/.